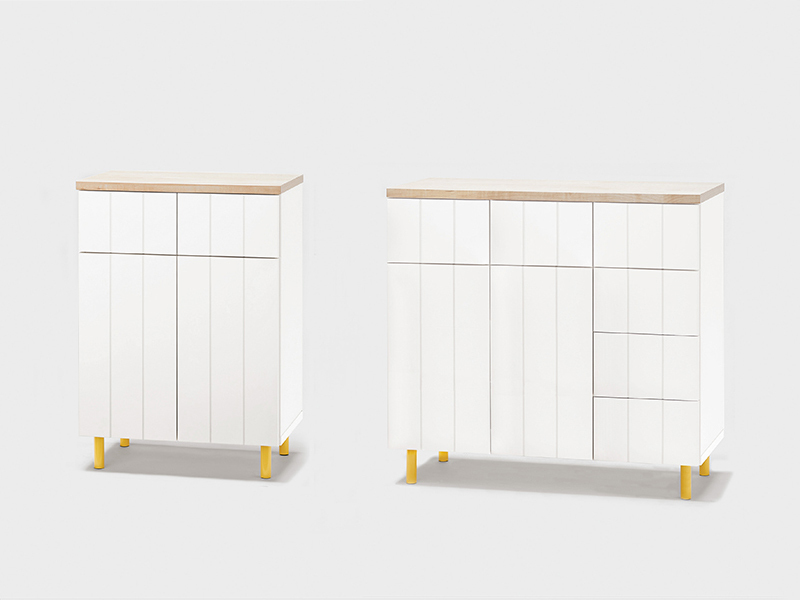 Storage furniture collection for the Japanese home. 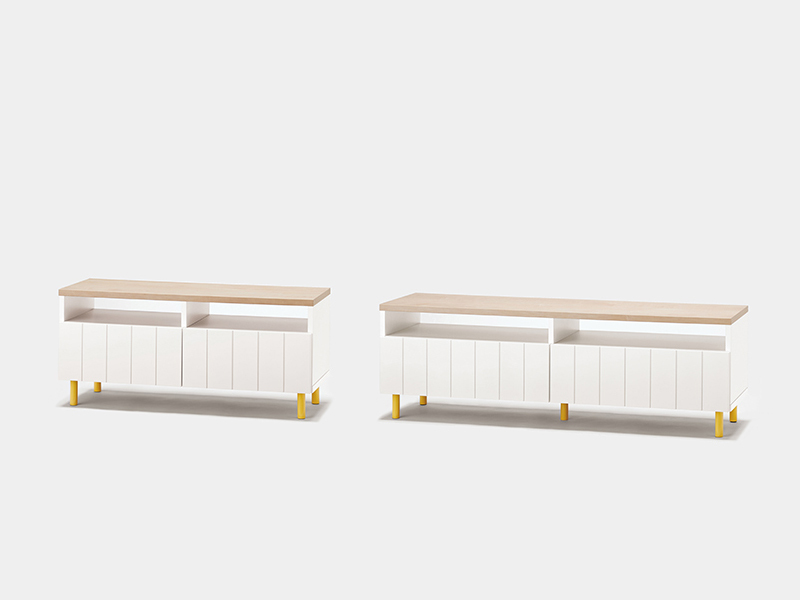 The concept of this collection is to provide basic functionality through simple forms. 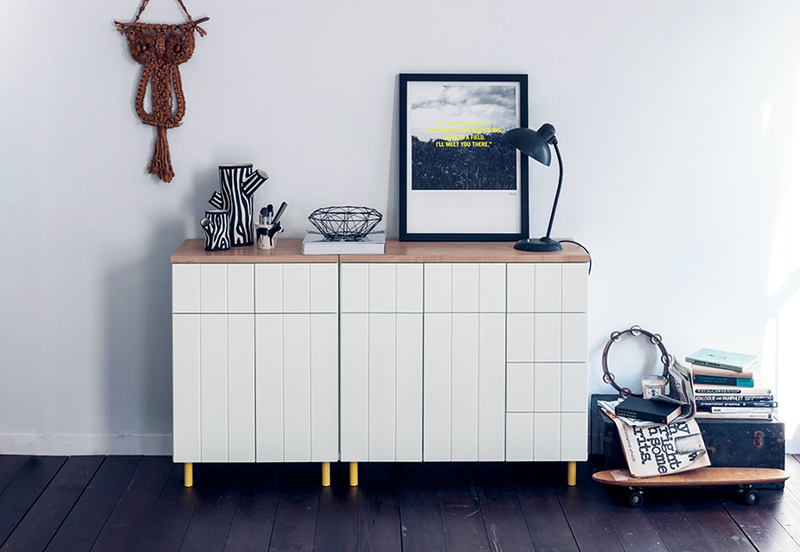 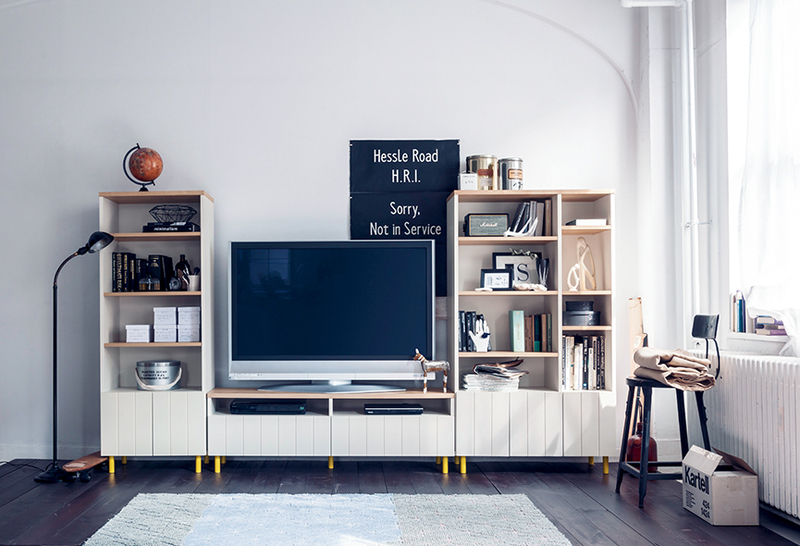 Delicate details, such as the patterns of grooves on doors and drawers, the wood texture on the shelf boards, and the vivid yellow legs, bring a modern and intimate feel to the space. 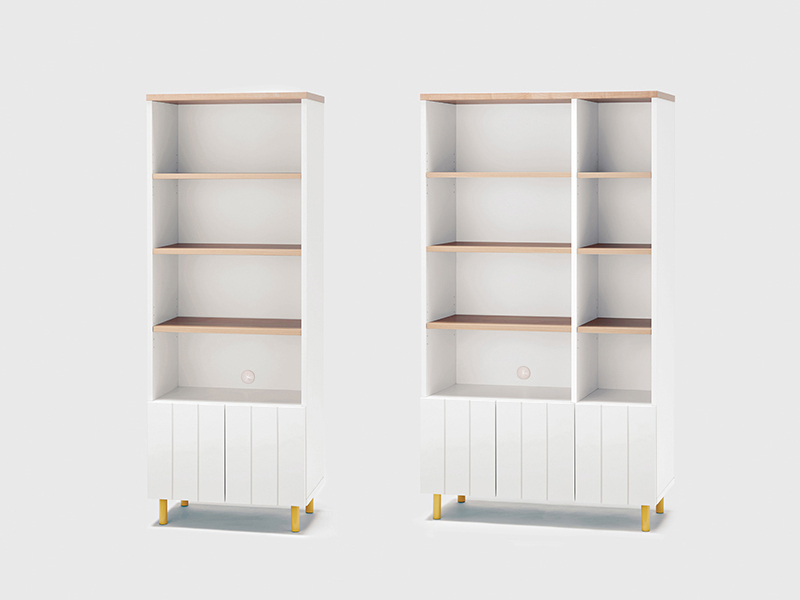 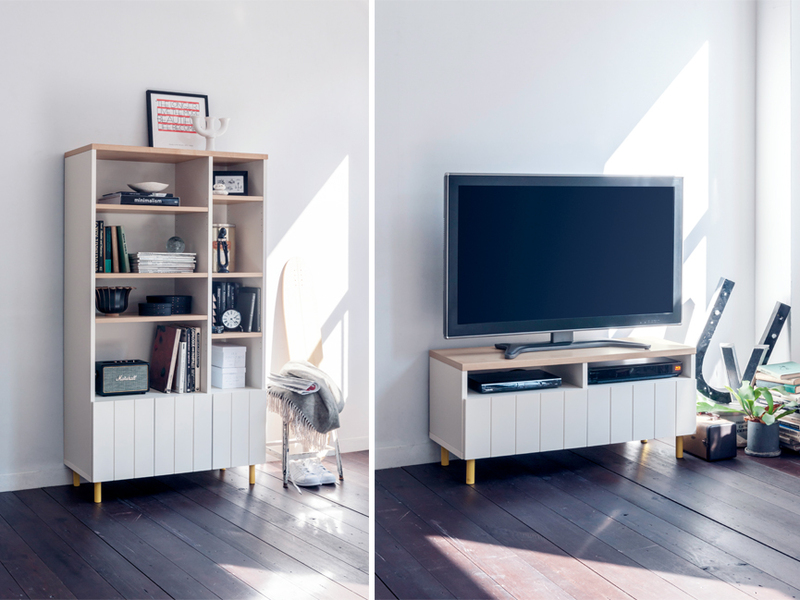 Each little detail is a common element between cabinet, TV stand and bookshelf, thus give a feel of uniformity to the atmosphere.